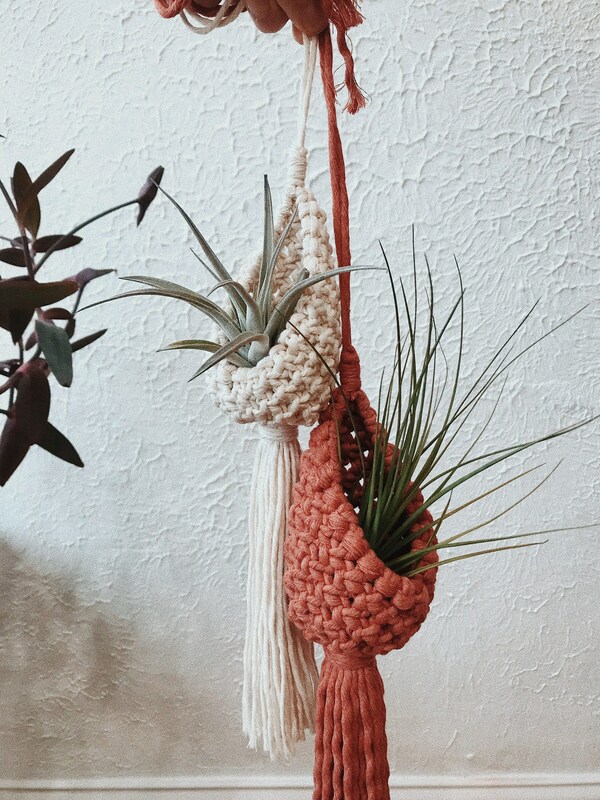 This Macrame Pod is the perfect edition to any home! 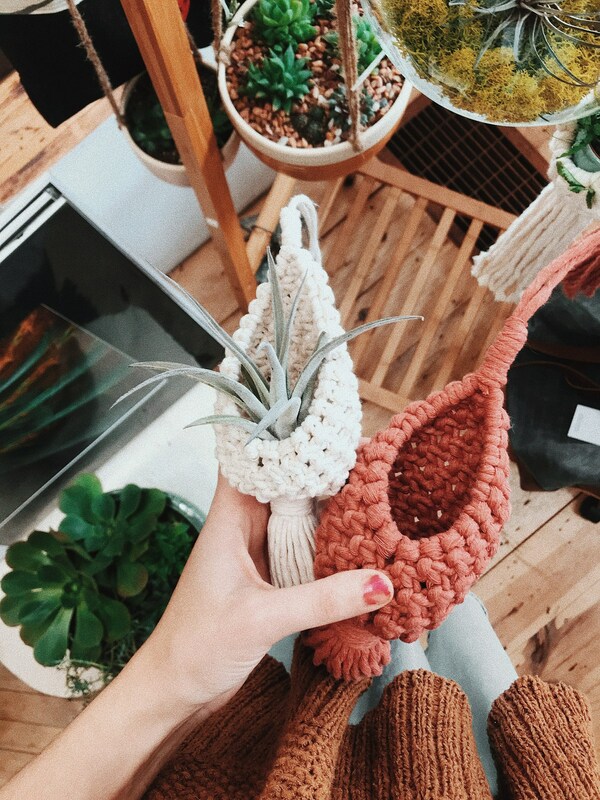 What a perfect way to display your beloved air plants or tiny trinkets while adding a lovely bohemian vibe to your space. 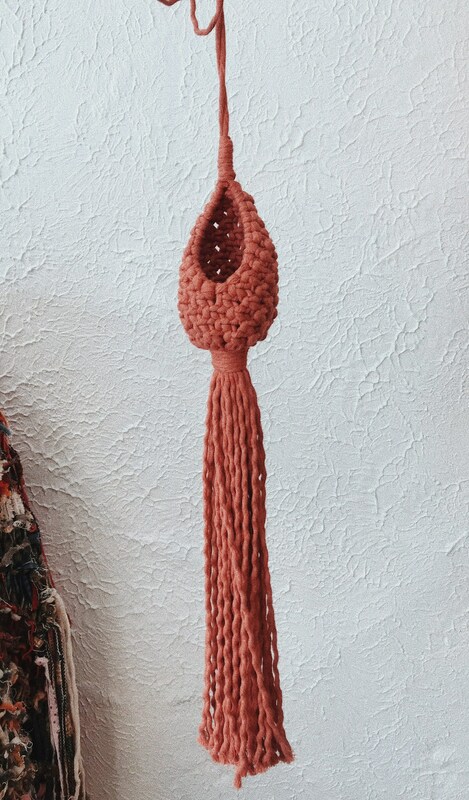 It can be hung up against the wall or on a hook out in the open, the choice is yours! 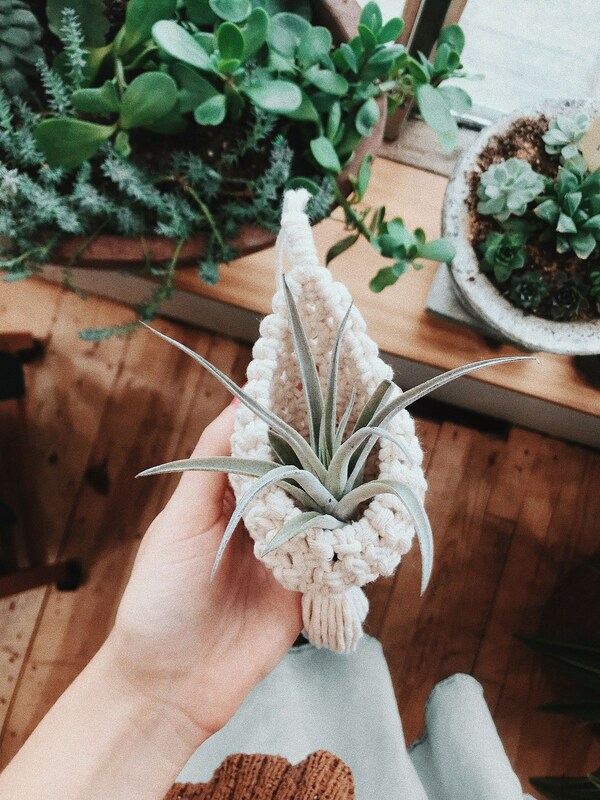 Hanger measures roughly 42 inches in height (from top knot to bottom fringe) and the pod itself is roughly 6 inches in length. 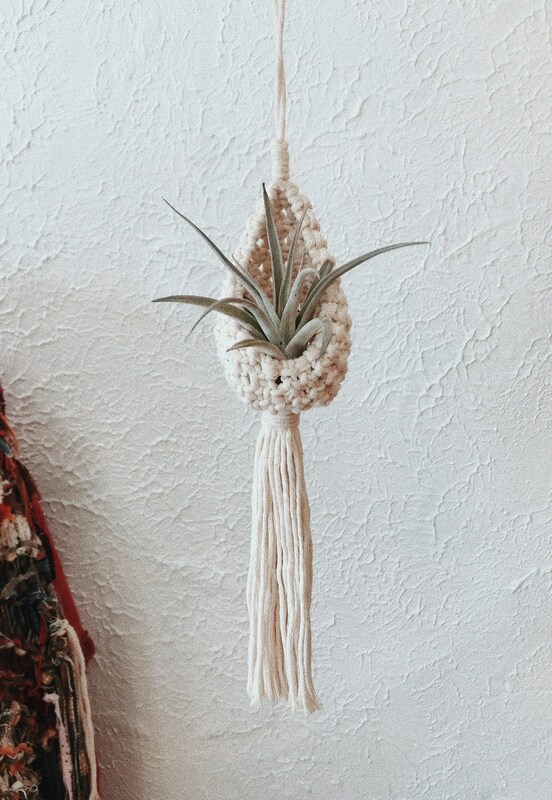 I recommend taking the air plant out of the hanger for waterings so your rope won't become discolored over time. International shipping is not available at this time but will be soon. This piece is made-to-order so a slight variation from the photos listed is possible. I will do my best to replicate what you see here as closely as possible.